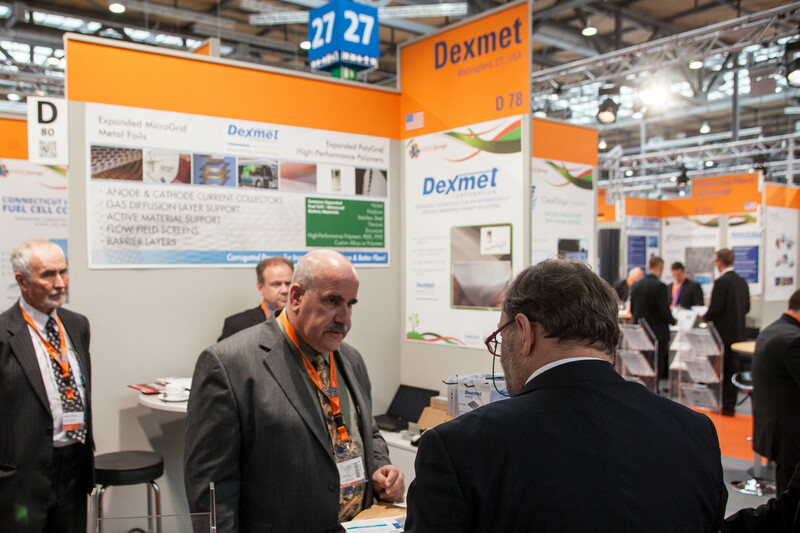 The Dexmet team exhibiting at Group Exhibit Hydrogen + Fuel Cells at Hannover Messe which was held at the Hannover Messe Fairgrounds in Laatzen, Germany from Monday, April 7th to Friday, April 11, 2014. Dexmet exhibited in conjunction with Connecticut Hydrogen-Fuel Cell Coalition which is part of The Northeast Electrochemical Energy Storage Cluster (NEESC) and the Connecticut Department of Economic and Community Development. 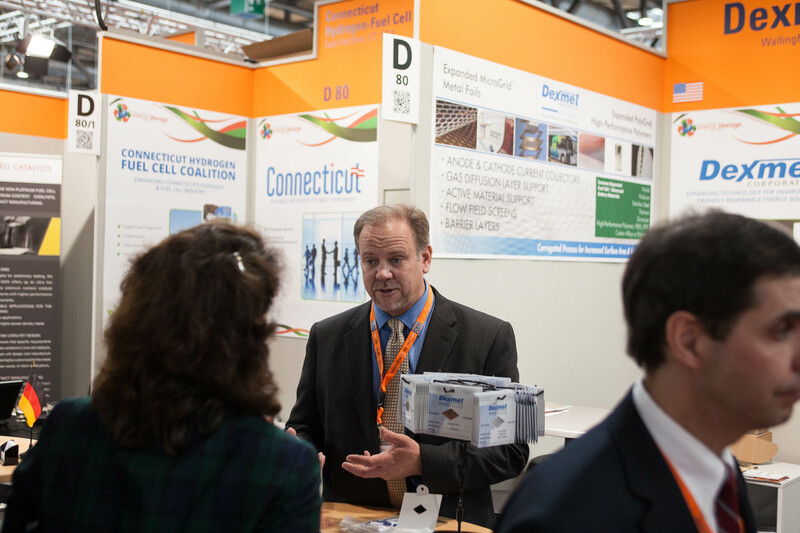 Steve Tucker, Product Manager of Power Technologies, Ken Burtt, Vice President of Sales and Marketing and Vaughan Williams, Sales Representative in Europe were staffing our exhibit for the duration of the show.